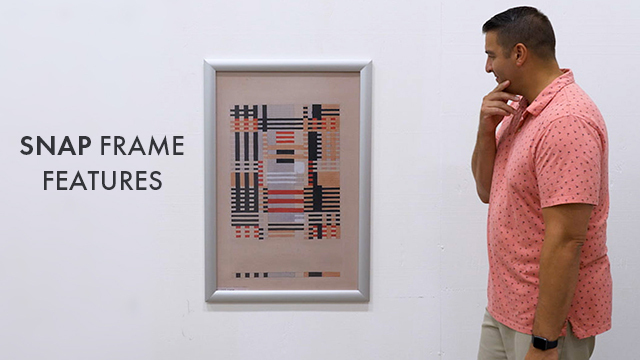 Medium Sizes - Up to 22" x 28"
Silver frame blends in anywhere. Snap-open edging simplifies the process of updating advertising. 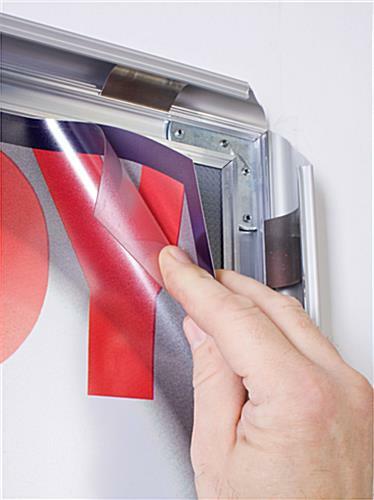 Plastic cover, within the frame, shelters placards from dust & other damaging elements. Fancy border adds a decorative element to any decor. 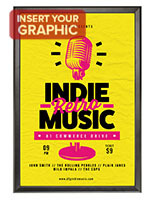 This 22x28 frame is for mounting eye-catching signage or artwork to a wall. 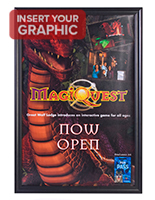 The snap-open poster holder features a hinged design, making it easy to update signs. 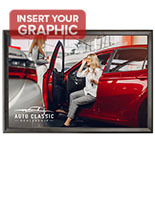 This 22x28 frame, also known as a picture display, can therefore remain attached to a wall when inserting new graphics. 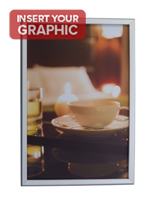 The snap-open display is equipped with stylish molding to add an artistic flair to your wall presentation. 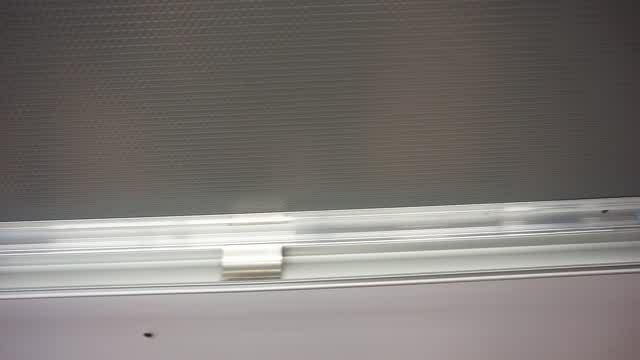 The profile measures 1-5/8". (Please view the close-up image for more details.) 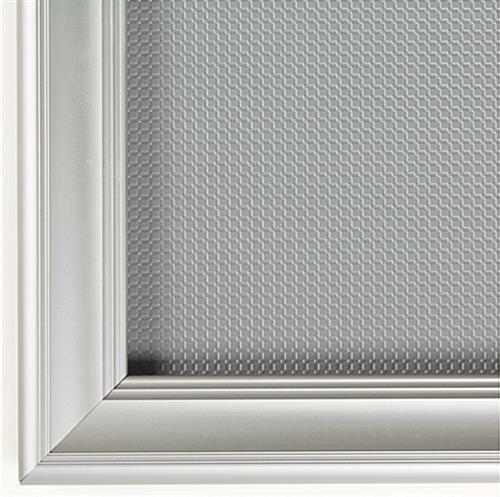 This 22x28 frame is simple to set up, requiring only a drill. 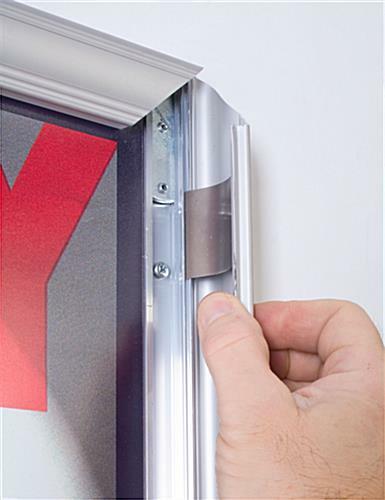 Each poster holder is provided with four screws and wall anchors. 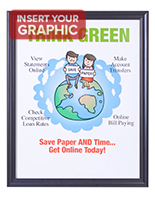 The 22x28 frame includes mounting holes for displaying your signage either vertically or horizontally. Each opening is underneath the framing, keeping unsightly hardware or hooks from view. 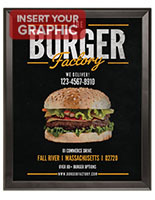 This 22x28 frame has a non-glare lens to position over top of your displayed signs. This overlay will keep signage protected while remaining professional-looking. 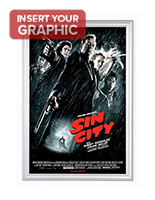 The 22x28 frame is constructed from aluminum and has a matte silver finish. 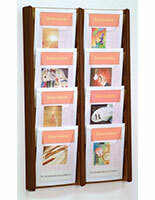 The photo holders display a 22" x 28" graphic either in landscape or portrait form. The versatility of this 22x28 frame provides users with the ability to reuse a snap-open holder over and over again. The front-loading design of this photo holder means updating a presentation takes only minutes! 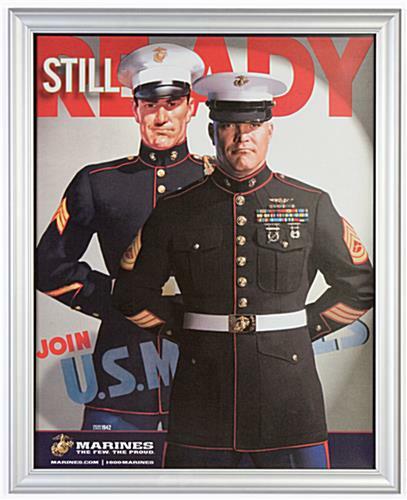 This 22x28 frame is perfect for use in retail stores, hotel lobbies, casinos, restaurants or any other location requiring frequent changes of advertisements. 24.3" x 30.4" x 14.4"
This is my fourth order of this product. We are in the retail industry and this is such a great poster. Frame. The snap open system makes changing out posters really easy. Thanks for the feedback, Gina, and thank you for your repeat business.